Made of heavy duty steel. Powder coated for durable finish. Comes in 2 variants,with sisal rope or metal chain. 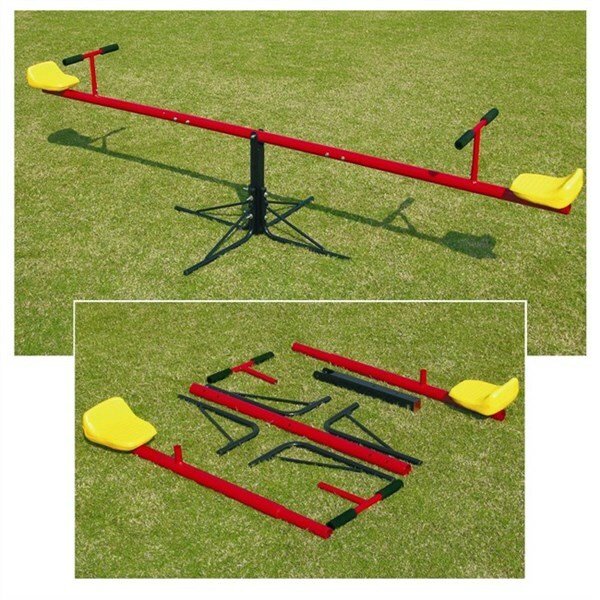 It can be dismantled for easy transportation and for saving storage space. Laminated wood base with steel frame for seat. A great fun product for gardens, parks or playground. Comes flat packed for easy storage and transportation. 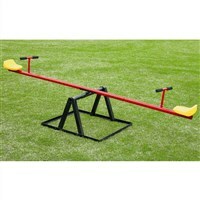 Made of heavy duty steel, powder coated for durability. 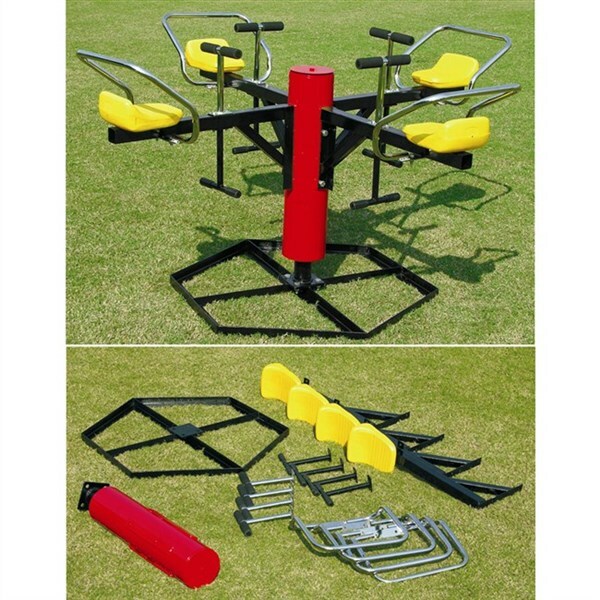 Center pillar with 2 x ball bearings for smoother revolving, seats made of plastic with side supporting rim made of steel. 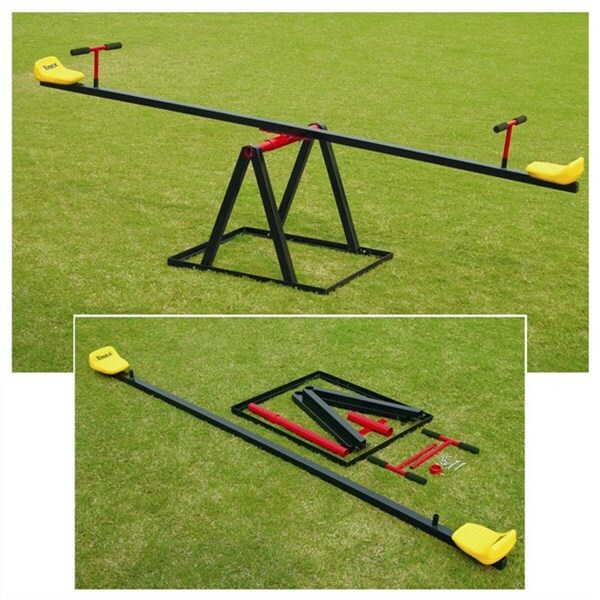 The seesaw is an ideal fun for the gardens or play parks. With its foldable feature it can be easily transported and stored, when not in use. Made of heavy duty steel. Shaft made of square Steel tube. 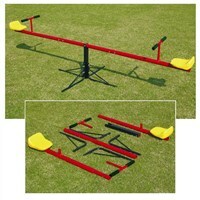 Available in 2 variants with shaft in single length and shaft in 3 lengths for easy storage or transportation. 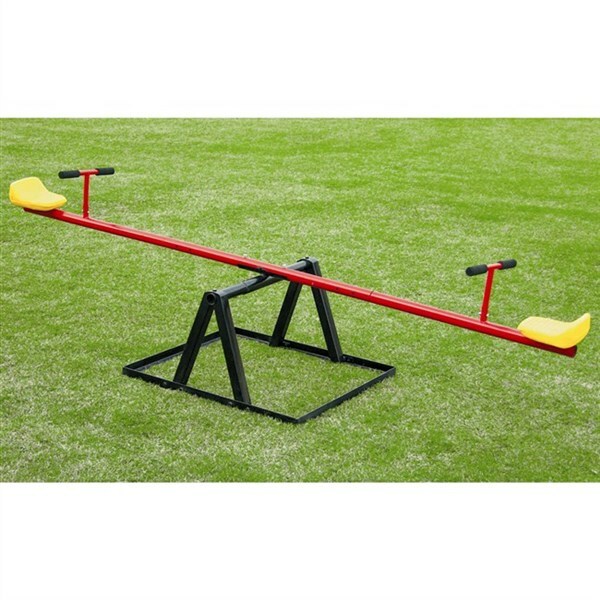 The seesaw is an ideal fun for the gardens or play parks. With its foldable feature it can be easily transported and stored, when not in use. Made of heavy duty steel. Shaft made of round Steel tube. 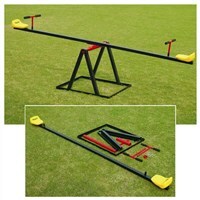 Available in 2 variants with shaft in single length and shaft in 3 lengths for easy storage or transportation. This is a great fun product for children. It can be easily carried in a bag, used for picnics, as it can be carried in the car's boot too. Made of heavy duty steel. Light in weight, yet sturdy. Suitable for children. Center part divided into 3 lengths for easy storage or transportation. 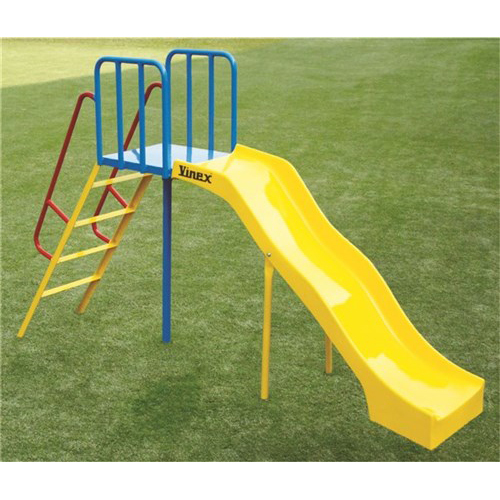 Vinex slide made of heavy duty steel, powder coated for durable finish. Ladder comes with side supporting rim & a platform. 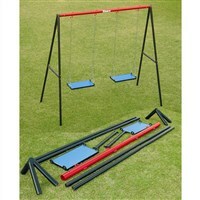 Nice product for gardens, parks or playgrounds. Comes flat packed for easy storage and transportation. Easy to assemble and comes with installation manual. 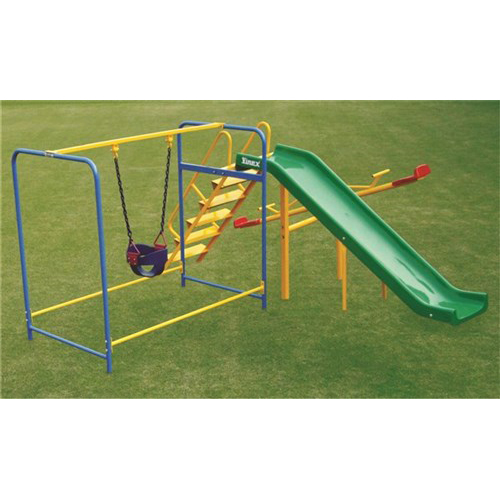 Vinex '3 in 1' playground set includes: Swing, Seasaw and Slide. 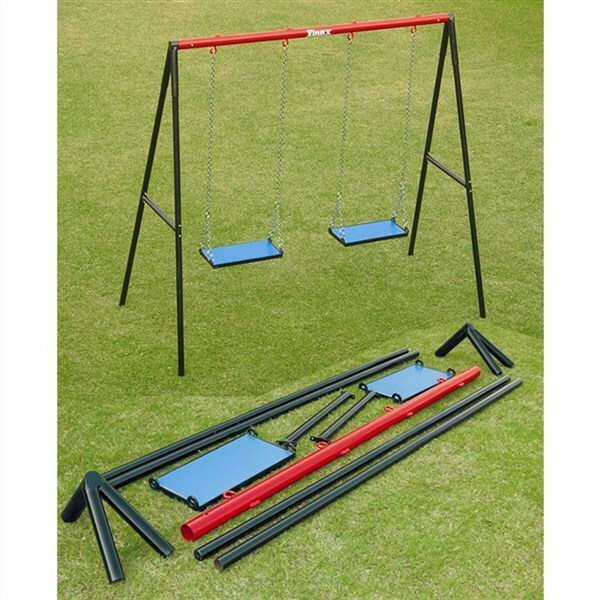 Frame is made of heavy duty steel & powder coated for durable finish. Stairs made of chequered steel plate with broader steps for safety of kids. Slide made of fiberglass with a durable finish. 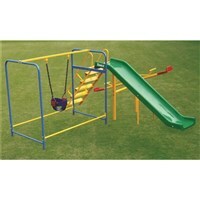 Multi-coloured for a great visible appearance in gardens, parks or playgrounds. Comes flat packed for easy storage and transportation. Easy to assemble and comes with an installation manual. 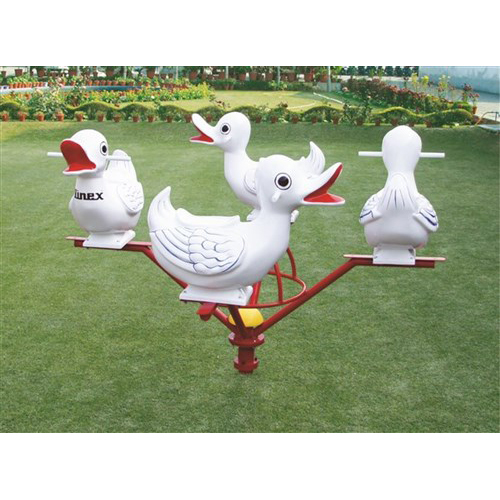 Vinex Merry-Go-Round made of heavy duty steel and powder coated for durable finish. Center pillar comes with a sturdy ball bearing for smoother rotation. Duck seats made of fiberglass with handles to hold. Comes flat packed for easy storage and transportation. Easy to assemble and comes with an installation manual.